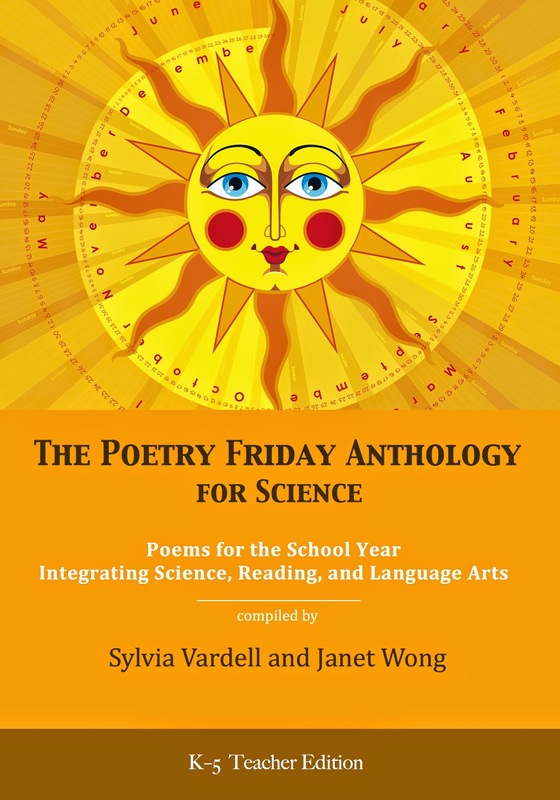 I'm so excited to report that the amazing Renée La Tulippe from the fabulous No Water River site is featuring The Poetry Friday Anthology for Science today-- complete with videos of seven poets reading their poems from the anthology. If you haven't ever visited No Water River, do it now. Here's the link! 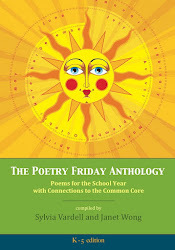 She is really creating a rich resource that supports poetry sharing and teaching. I especially love the video component-- so fun for kids (and adults!). Here's a link to my previous post about "How to use NoWaterRiver in the classroom. She is also a poet herself, author of Lizard Lou: A Collection of Poems Old and New, and contributor to our anthologies, too. 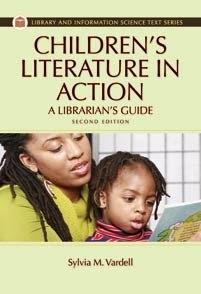 And she teaches a very popular online writing course, the Lyrical Language Lab. 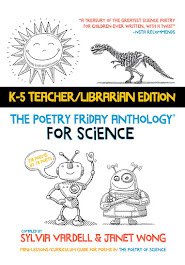 In case I haven't bombarded you enough with information about our book, The Poetry Friday Anthology for Science, it features 218 new, original poems for children in grades K-5 written by 78 different poets who specialize in poetry for young people. 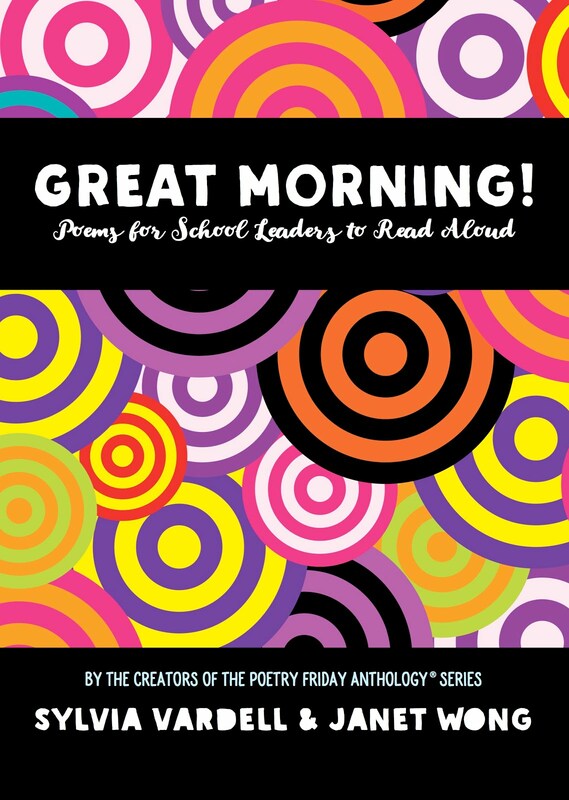 Plus, we have tied the poems to the Next Generation Science Standards and offer Take 5 activities that help you connect poems and science skills (as well as CCSS and TEKS skills in reading/language arts). It earned the National Science Teachers Association "seal of approval" and rave reviews from science author extraordinaire Seymour Simon, among others. 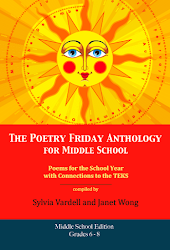 And here are the individual links to poet videos on YouTube in case that is helpful. 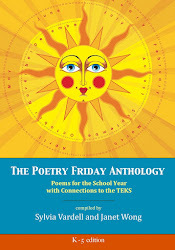 Renée also provides many more links to all the poets who contributed to the book and much, much more. 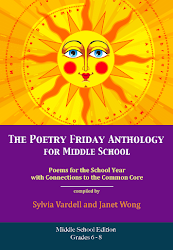 Her posts are a one-stop shop for fantastic poetry teaching tools! Thank you, poets, for your poems AND your videos and thank you, Renée, for creating this wonderful forum for HEARING poems read aloud! 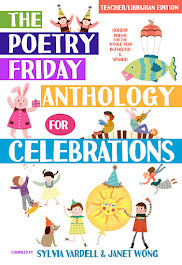 Now head on over to Merely Day by Day where Cathy is hosting Poetry Friday. 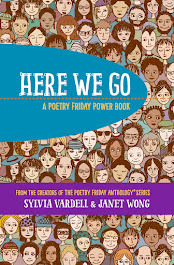 It was so exciting to be in the audience when the awards were announced this morning and POETRY books were at the top of the list! 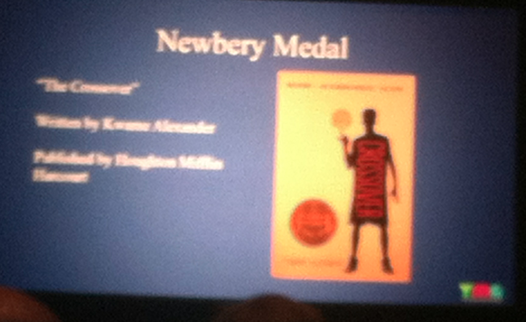 The Newbery award went to... The Crossover by Kwame Alexander! You'll find the guide for this book here. In the 83 years of Newbery history, the award has gone to a book of poetry FOUR times (A Visit to William Blake’s Inn, Joyful Noise, Out of the Dust, and Good Masters! 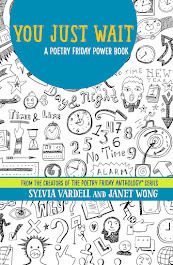 Sweet Ladies), so it's especially exciting to see a book of POETRY get this recognition. 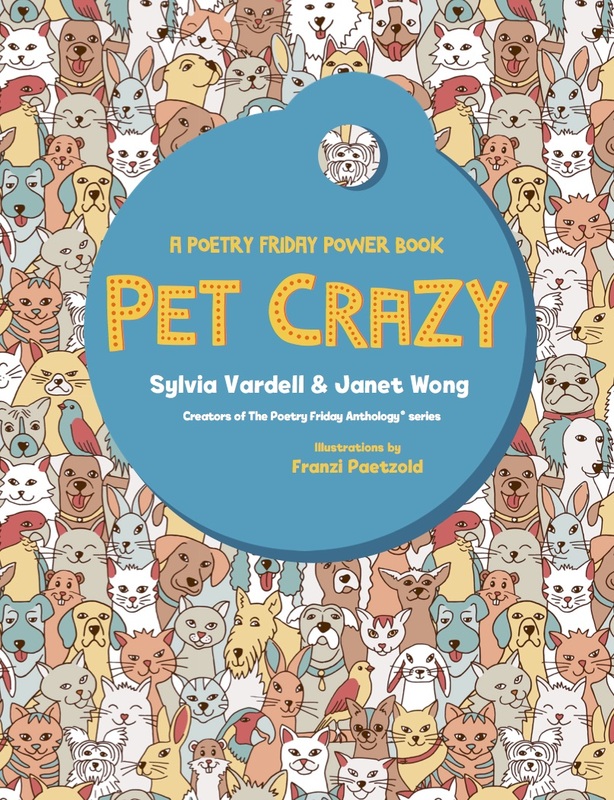 You'll find a "Poet to Poet" interview between Carole Boston Weatherford and Jacqueline Woodson here. 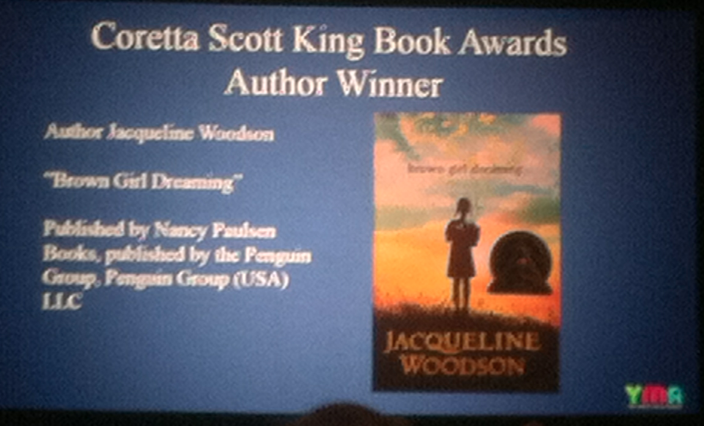 To reiterate, the Coretta Scott King Author award went to Brown Girl Dreaming by Jacqueline Woodson. 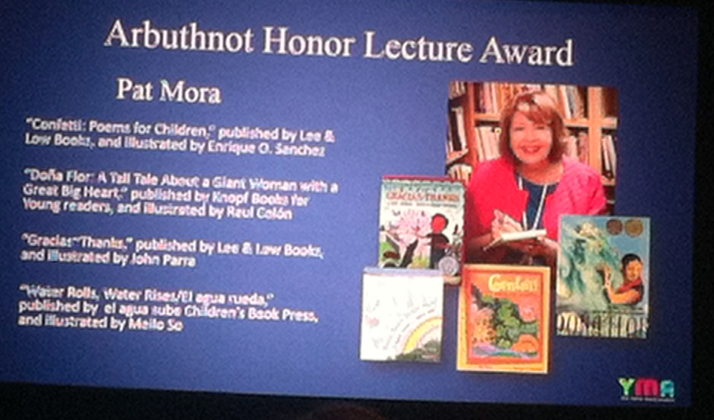 And poet, author, and literacy advocate Pat Mora will deliver the 2016 May Hill Arbuthnot Lecture, perfect timing with the 20th anniversary of Día de los niños/Día de los libros (Children's Day/Book Day).